The Tragedy of Macbeth (commonly called Macbeth) is a play by William Shakespeare about a regicide and its aftermath. It is Shakespeare's shortest tragedy and is believed to have been written sometime between 1603 and 1607. The earliest account of a performance of what was probably Shakespeare's play is April 1611, when Simon Forman recorded seeing such a play at the Globe Theatre. It was first published in the Folio of 1623, possibly from a prompt book. 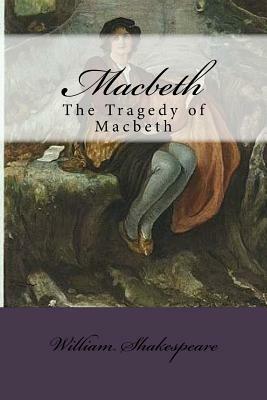 Shakespeare's source for the tragedy are the accounts of King Macbeth of Scotland, Macduff, and Duncan in Holinshed's Chronicles (1587), a history of England, Scotland and Ireland familiar to Shakespeare and his contemporaries. However, the story of Macbeth as told by Shakespeare bears little relation to real events in Scottish history, as Macbeth was an admired and able monarch. In the backstage world of theatre, some believe that the play is cursed, and will not mention its title aloud, referring to it instead as "the Scottish play." Over the course of many centuries, the play has attracted some of the greatest actors in the roles of Macbeth and Lady Macbeth. It has been adapted to film, television, opera, novels, comic books, and other media. William Shakespeare (baptised 26 April 1564; died 23 April 1616) was an English poet and playwright, widely regarded as the greatest writer in the English language and the world's pre-eminent dramatist. He is often called England's national poet and the "Bard of Avon." His surviving works, including some collaborations, consist of about 38 plays, 154 sonnets, two long narrative poems, and several other poems. His plays have been translated into every major living language and are performed more often than those of any other playwright.